These well-loved gig places are (hopefully) here to stay. (SPOT.ph) Rock, reggae, rap, and even a healthy dose of jazz—Manila certainly enjoys its music and culture. Don’t we all wish that we could just swoon and swing to our favorite local performers all night? And at certain moments in our lives when we do watch our favorite bands, it does feel like a time loop; you’re in the groove enjoying that audio vibe, encapsulated in your own sound nirvana. 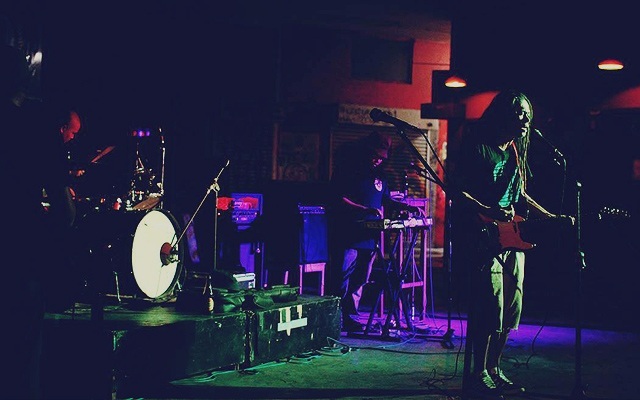 The live music scene may not be getting as much love these days, but you can still catch local bands and enjoy performances in venues that you may have probably heard about at some point. These places hold a special place in the hearts of local music scene fans—and if you've never been to any, you're lucky that you can still find out for yourself what it is that makes each of them stand the test of time. Enjoy the music while you're at it! 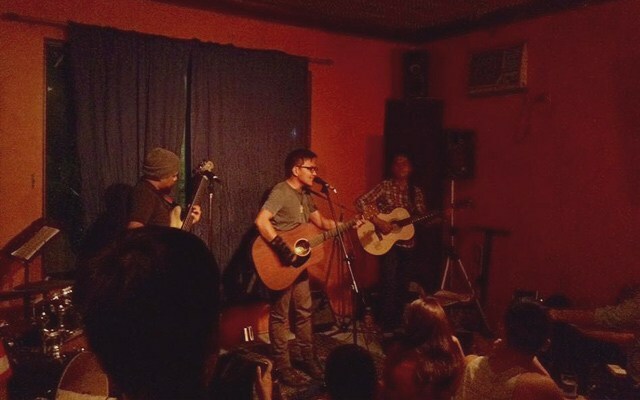 Located along Katipunan is Route 196, a bar where you can breathe in the music scene. 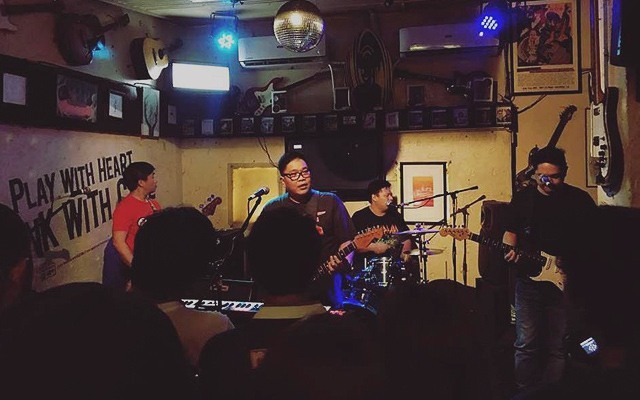 The current team, comprised of Jugs Jugueta, Nicole Sarmiento, Waco Mapua, TedMark Cruz, Saul Ulanday, and Kelvin Yu, all wanted a bar where bands young and old could play original music. One of the biggest gigs? 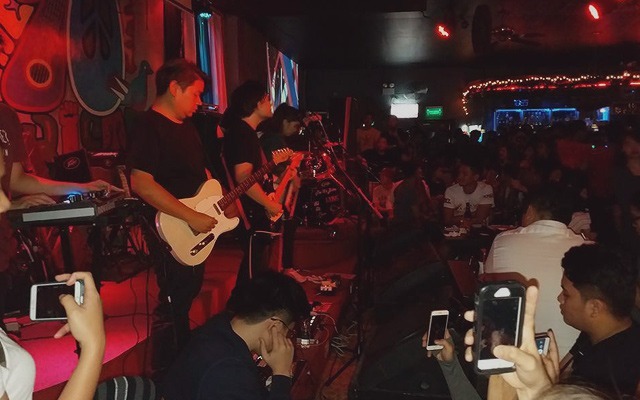 “When the Eraserheads did that huge reunion concert at The Fort years ago, they did an impromptu gig and after-party at Route 196,” says Cruz. “For those who were fortunate enough to witness that, I heard it was one for the books,” he adds. Route 196 is at 196-A Katipunan Avenue Extension, Blue Ridge A, Quezon City. Irie Sundays. That’s all you'll ever need to know if you want to get a dose of some groovy reggae tunes. Of course, B-Side is also a sweaty mecca for rock, rap, and other music genres. There’s even a lineup of DJs if you want to dance all night. If you’re lucky, you may even chance upon some awesome rap battles. But besides the jams, B-Side is also known for having some pretty darn good street food. Pro-tip: Get several sticks of isaw and an ice cold beer while you're there. B-Side is at 7274 Malugay Street, San Antonio Village, Makati City. 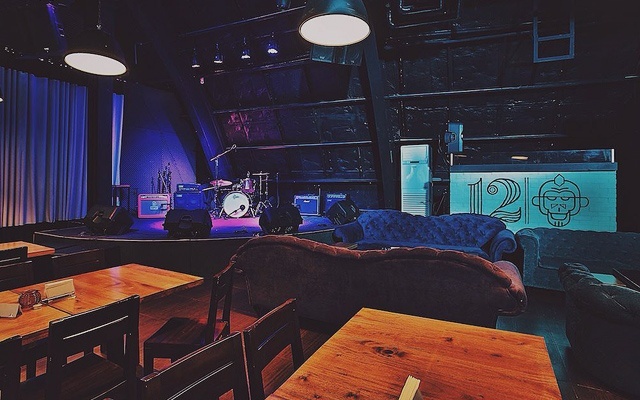 While the original branch of 12 Monkeys was in Makati, their move to the center of the buzzling business center of Ortigas was a welcome change, as most popular gig places can be found in the South and in the North. Having 12 Monkeys right smack in the middle was great for people looking to enjoy some pop music or bang their heads with some rock. There have been some legendary bands who’ve strummed their guitars here, like Razorback, Wolfgang, and Greyhoundz. 12 Monkeys is at El Pueblo, Ortigas Center, Pasig City. If you know Strumm’s, congratulations, you are now a certified Tito of Manila. But don’t let this fact deter you from visiting this spot. Established way back in 1992, there have been many legendary rock bands, famous pop stars, and local musical groups that have played their hearts out here. Come by for a chance to see some great musical performances from bands like Artstart, Route 70, and Mulatto, and party like it’s the ‘90s! Strumm’s is at 110 Jupiter Street, Bel-Air, Makati City. When Tomato Kick launched on Maginhawa Street, it was an instant hit with college students from UP, Ateneo, and all over. Indie bands, rock bands, and even a little ska once in a while. Tomato Kick gave you that music fix that you needed. Its success was due to its bohemian vibe and the fact that its surrounding stores gave it that extra artistic vibe. 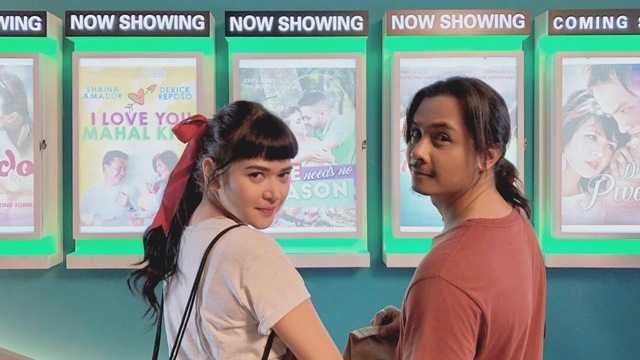 After some time and several branches later, Tomato Kick is now on Malingap Street in Quezon City with another branch opening along Katipunan soon. Tomato Kick is at 19 Malingap Street, Teachers Village, Quezon City. Conspiracy is at 59 Visayas Avenue, Quezon City. 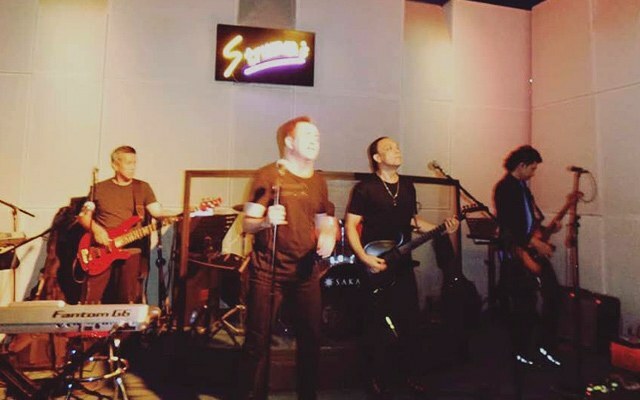 Still in the same place and practically untouched by time, The 70’s Bistro has gone through decades but still continues to deliver the same rock and roll vibe that people have come to expect since December 1992. Many great bands have also passed through this bar, with The Jerks as one of the regular favorites back then. You can also expect to find other legends like Brownman Revival, Cooky Chua, and Mike Hanopol for special gigs. The 70’s Bistro is at 46 Anonas Street, Project 2, Quezon City. 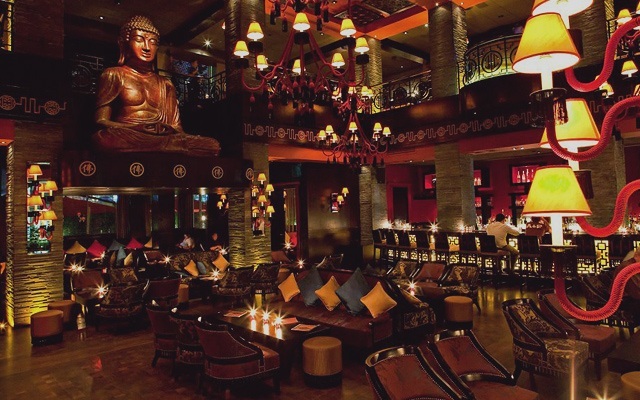 While not as long lived as most of the other places on this list, Buddha Bar is still no slouch. The bar has been delivering the same quality of music, food, drinks, and hospitality since 2011. You won’t find any rockers here, but people can still dance their feet sore to the Latin tunes and lounge music. There are even nights when Bollywood and Greek music are played. This is surely one party place that gives you more zest than Zen. Buddha Bar is at Picar Place, Kalayaan Avenue, Makati City. 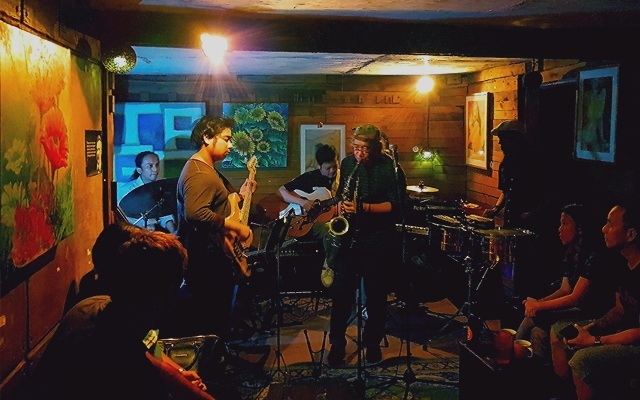 Tago Jazz Café is at 14 Main Avenue, Cubao, Quezon City. 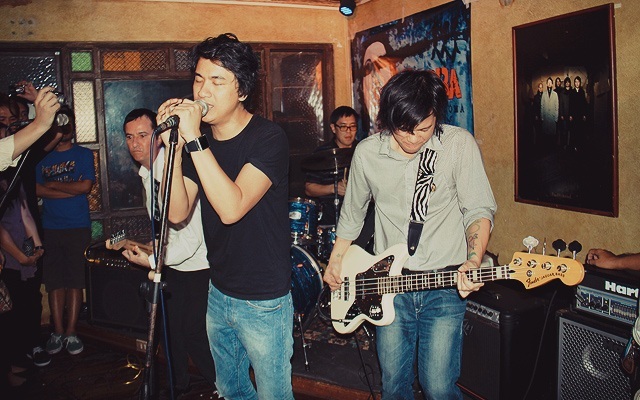 One of the coziest and most solid rock and rolling places in Manila, Saguijo was the brainchild of cousins Angelo and Chris Carlos, and Daniel Lim. “The idea was to convert this ancestral home belonging to Angelo's relatives into a place emulating the bars they loved to go to,” says booking manager Cris O. Ramos Jr. The bar has lasted so long, this June actually marks its 14th anniversary! 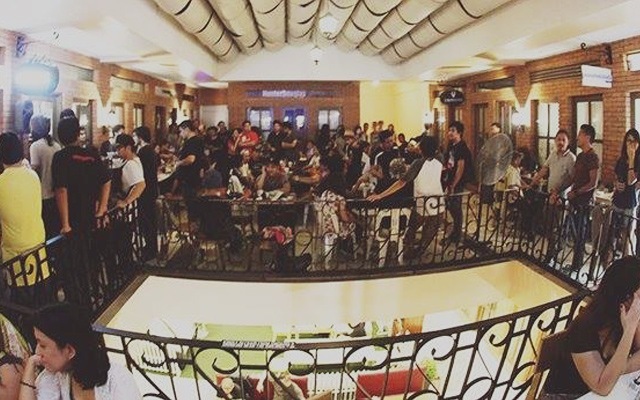 There was a not-so-official first Eraserheads reunion after-party held here back in the day, as well as shows curated by Admit One, Play4Serve, Revolver, Terno Recordings, Brgy Tibay, and many others. 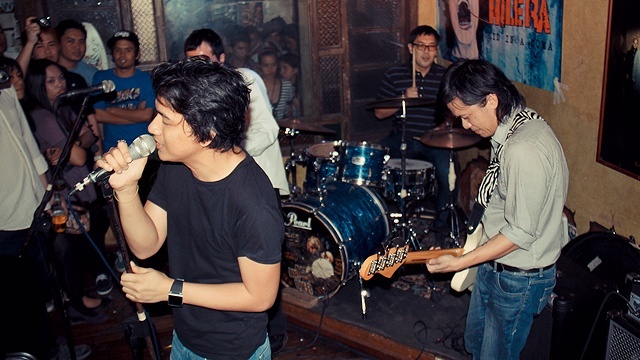 SaGuijo is at 7612 Guijo Street, San Antonio Village, Makati City.